Nothing is more terrifying than the idea of a fire starting in your home as you sleep. Where is it? Was I woken by smoke, an alarm or heat? Where are the kids? How can I get my family out to safety? These questions and more will be charging through your head in the event of an emergency. But what if, with a little preparation, you can make sure you and your family have the best possible chance should the worst occur? We have identified the four best ways to prepare and protect your loved ones from a fire in your home. Most fires that start in homes and businesses are put out when they are small and cause little damage. These don’t make the evening news because they are put out quickly with the right equipment, in the right place at the right time. Firstly, don’t put your fire blanket or extinguisher behind your stove. As expected, the stove is the most common location for fires to start and the last thing you want is to have to reach across a fire to extinguish it. Keep blankets and extinguishers near the kitchen, but not too close to the dangerous spots. Secondly, did you know fire extinguishers aren’t suitable for all fire types? The Australian class ABE powder extinguisher is useful in most applications, but don’t use it on an oil or fat fire. The best protection against a greasy pan fire is a fire blanket, so keep one handy to keep your family safe. Remember that fire extinguishers and blankets aren’t forever. If you cannot remember the last time they were serviced or replaced, give Fire Safe ANZ a call. The best way to avoid a house fire is to identify the main causes to reduce the risk; the top two of which are cooking equipment and heating equipment. When cooking, if a pot or pan overheats or splatters grease, it can take seconds to cause a fire. Never leave the kitchen when cooking, or if you must, then make sure all cooking equipment is turned off if unsupervised. Heating equipment can also be extremely hazardous if left unaccompanied. When using a portable heater, make sure to keep it at least one metre away from anything flammable (including furniture, blankets, clothing and yourself) and never use a portable heater to dry shoes or clothes. Professional Fire Fighters advise that you and your family might have less than two minutes to evacuate safely from a house during a fire. Sit your family down and decide how to evacuate if the worst should happen. Pick an assembly area to meet outside, inform your children about crawling under the smoke and never to open a hot feeling door. Mostly, practice your fire evacuation plan twice a year. It may seem silly or a bit of fun pretending to evacuate a house but if there is a fire in the night you won’t regret using an afternoon for emergency evacuation training twice a year. Electrical fires don’t always wait until you are in the room. Smoke detectors are your eyes and nose in all corners of the house at all hours of the day. Check smoke detectors every month, and change the batteries regularly. Waiting for batteries to die can be a dangerous mistake to make. Want the best protection, advice, and equipment for keeping your family and home fire safe? 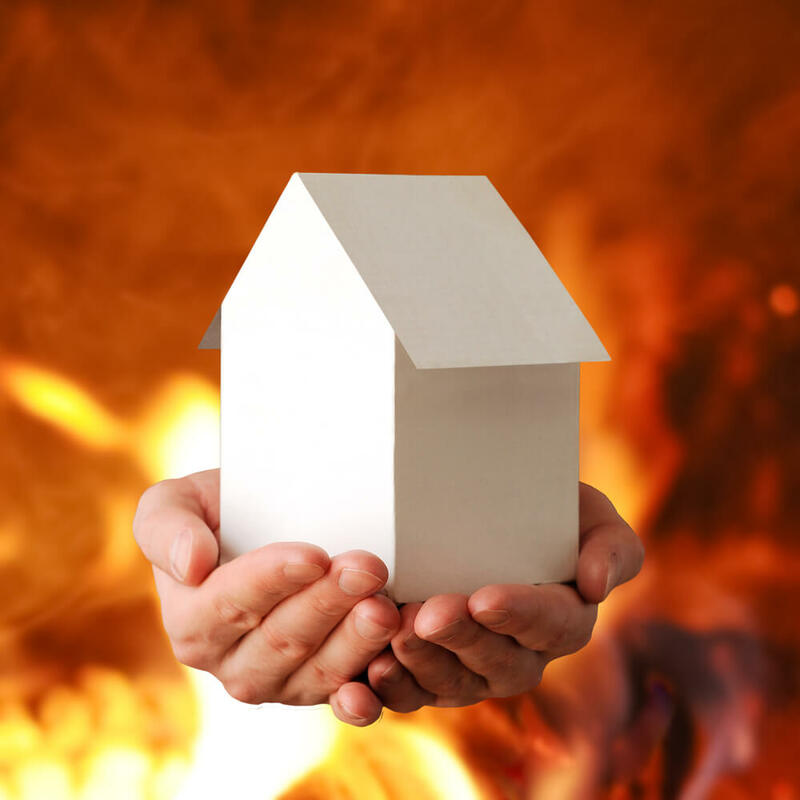 Call Us at Fire Safe ANZ today, and let us help you get the best possible protection from everyone’s worst nightmare.